aFe Intake System - MagnumFORCE Stage 1 - Performance Auto Parts - Car and Truck Accessories | JM Auto Racing - Intensify Your Ride! 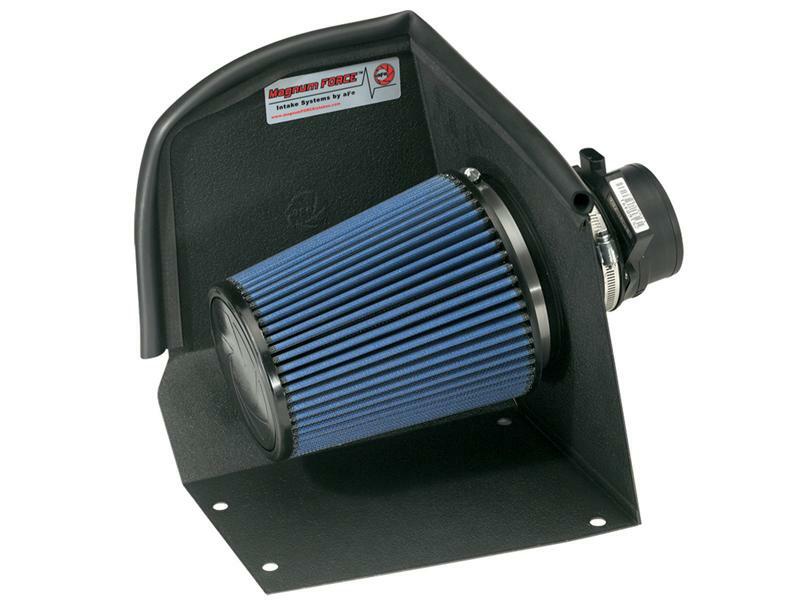 For a great value and easy installation the aFe Stage 1 Air Intake Systems adds instant horsepower and torque with quality and performance you can trust. One-Piece Heat Shield – Welded, one-piece heat shields use no additional brackets for the easiest installation possible. Rubber Trim Seal – aFe uses top-quality flexible rubber trim seal between the heat shield and vehicle hood to block hot air from the filter. 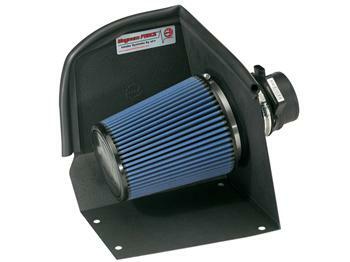 3-Angle Adapter – Specially developed velocity stack with 3 different angles dramatically increase airflow from the filter to the intake tube. Quality Hardware – aFe uses only top-quality hardware like stainless steel button head bolts and brass inserts. 3 Filter Media Choices – Choose from the Pro 5R, Pro Dry S or Pro-GUARD 7 Filter. © 2016 JM Auto Sports · All rights reserved.